Marry Inn Hotel is situated Hussain Square Liberty market. Only 15 minutes from the Allama Iqbal International airport. The hotel has 14 deluxe rooms with all amenities of 3 star standard. There is free WiFi and a working desk in each room. Hotel also caters for wheel chair guests and has special arrangements for special guests. Marry Inn also has Meeting and Banquet space to accommodate a small meeting, Conference, Wedding or a social event. The meeting room has the stylish look too. 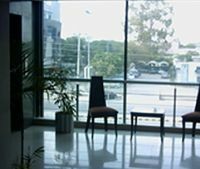 It is perfect for small to medium group from 50 persons to 250persons to have various functions such as board meeting, seminar, workshop, telephone conference, birthday party, and so on. The projector, screens, flipchart and multimedia are available. Marry Inn Lahore in Lahore, offers above rates only to Hunza tours. The online reservation payment must be made to Hunza tours not the hotel. 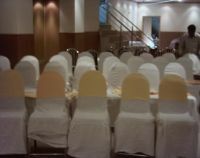 Book your events, Meetings, Conferences Marriage parties at Marry Inn Lahore or any other hotel in Lahore please feel free to email us we will offer you the best possible rates and perfect arrangements to suit your events. For room reservations at Marry Inn Lahore Lahore please contact usTravel & Culture Services are hotel reservation agents in Pakistan. We reserve hotels at special discounted rates for individuals and companies.